Wine Reviews : Proprietary Software and Linux the Good Bad or Somewhere in Between? Proprietary Software and Linux the Good Bad or Somewhere in Between? Canonical is looking into selling proprietary software like Adobe’s Photoshop and Apple’s iTunes within its distribution, Ubuntu. This would undoubtedly be helpful for certain end users wanting to switch to Linux, but is it good for free software in the long run? The introduction of the Ubuntu Software Center (originally named “Ubuntu Software Store”) into the recent Karmic Koala 9.10 release is a move towards creating a central interface for managing applications. 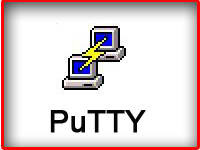 The original name was changed from “Store” to “Center” because it invoked images of selling software. Strange for a free Linux distribution. Now however, that might not have been too far from the truth. Indeed, the plans for the Software Center indicate that by the 10.10 release (that’s the 10th month of 2010 for those who aren’t aware of the versioning scheme) it will be possible to purchase software. Before this however, the upcoming 10.04 release should see the Software Center replace a majority of the existing package managers, including GNOME App Install, Gdebi and Synaptic. It should also replace the Update Manager and Software Sources for configuring repositories. By the April release of 2011, the application should be feature complete. All of that sounds really good. A single, neat, easy to use interface would be a great addition to the desktop. Canonical is definitely aligning itself to selling software. It’s nothing new though, it does it already for software like media codecs, DVD player support and, strangely enough, virtualization software. Commercial codec packs have been available through various distributions for a long time, as a way for end users to legitimately access their data without potentially violating software patents. Now however, it appears that they are gearing up for something more. The reach is being extended and Ubuntu is asking for your input on which proprietary applications you would like to see made available in the distribution. These are not proprietary applications to be included by default, but rather those which can be easily installed via official repositories. That’s right, presumable via the official “Partner” repository. Considering that the list includes applications like Adobe Photoshop, that’s an interesting proposition. A user could, presumably, purchase a copy of Adobe Photoshop via the Ubuntu Software Center, which will configure the appropriate repository, download and install the application. Voilà! There is no native Linux version of Photoshop, so this will most likely need to be run via Wine (Wine Is Not An Emulator), a free software implementation of the Windows API. 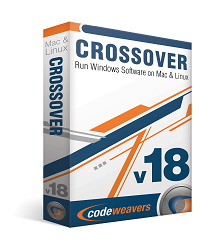 There are several commercial products based on Wine, and one in particular is CrossOver, from Codeweavers. This company builds support for Windows programs into Wine and sells support for it. These improvements are then fed upstream, back into the Wine project. In fact, “Codeweavers” is also on the list and CrossOver already supports Photoshop (version 6 through to CS2). Could it be that the Ubuntu Software Center will also be a front end for installing and removing packages seamlessly for use with CrossOver? Maybe so. Steam, World of Warcraft and Google’s Picasa, all of which are on the list too, are already supported under Wine. Other applications on the list include Apple’s iTunes, one very popular application world wide which has no presence on the Linux desktop. Skype is also on the list, for which an Ubuntu package already exists. At present, this survey is just a question of which applications users would like to see easily installable in Ubuntu. Perhaps these will use Wine, perhaps they will be native applications. At this stage just what this will entail, is not certain. It’s easy to see why a distribution such as Ubuntu would want to enable support for popular proprietary software. The lack of ability to run popular Windows software on Linux impedes some users from making the move to free software. A friend’s Windows computer got a virus and you’ve been called to clean up the mess. They ask about this “Linux thing” you’ve been using. “It’s fast, stable, secure, free and best of all, doesn’t get viruses or spyware,” you point out. Uh oh. No, it doesn’t run Photoshop. In fact, generally speaking it doesn’t run any Windows software (well technically speaking you could get Photoshop and some others working under Wine). In this regard, it’s like a Mac. “There are lots of great free alternatives though, like the GIMP and Krita which you could learn how to use,” you meekly reply. However, the friend is perhaps reluctant to learn, doesn’t like the look of them, they don’t support the features they need - a dozen different reason. So they stick with Windows (which leaves you to fix their computer next time it dies). What if that user could switch to Linux because Photoshop did run on Linux? What would that change? On some level it would be fantastic to say, “Don’t worry, Photoshop runs perfectly on Linux! You can continue to use all those proprietary apps you need.” On another level, it’s also sad. It’s sad because if people understood the principles behind free software and why it’s a better way, perhaps they would be more willing to give free software replacements a try. Someone who wants to stick with their proprietary software, just doesn’t quite get it. If all someone wants is a no-cost operating system, without understanding or caring about any of the philosophical elements behind it, what kind of future are we breeding? All of this does once again raise the issue of proprietary software in the Linux space. Naturally, Canonical is free to do whatever they like to their operating system, but what effects might it have on the rest of us? There’s no doubt that if Linux could seamlessly run those “essential” applications like Photoshop, it would become a much more attractive operating system to a majority of the existing market. But do we care? Well, it depends on your world view. Free software exists because some see it as a better way. We use it because it provides us with specific freedoms, we trust it, we can hack it, we like it. This is what Linux and free software has to offer. If you don’t want to use it, then don’t. If you prefer to use Windows and proprietary applications, then use those. The Linux desktop got to the way it is today thanks to free software and the open development model. The popularity of Linux on the server and super computer market has not been a result of proprietary software, but rather outstanding free software. It did so by providing a better option over existing Unix systems, with which it has much more in common. For companies like Canonical however, it’s not about free software but rather gaining market share and ultimately making money. Ensuring that popular Windows software can run on Ubuntu gives it a better chance of securing more market share, regardless of the philosophical arguments. You see, the desktop is a different ball game. It’s less about services and more about front-end software, most of which is designed specifically for Windows. Linux is already at a massive disadvantage. However, supporting closed source software is tricky, especially when it’s running on a system other than the one it was designed for. Proprietary video drivers enable users to have decent 3D acceleration, but they also introduce numerous issues of their own. Due to their closed source nature, these issues can’t be resolved by the free software community. By introducing support for proprietary software, Canonical might be digging a hole too deep for itself to climb out of. If users are paying for software, they will expect it to work properly. How can Canonical ensure this happens when they can’t see the code base? Would a company like Adobe be willing to fix issues in a timely fashion? Photoshop CS under Codeweavers is only supported at a Bronze level which means that it will install and run, and can “accomplish some portion of their fundamental mission,” but expect a bumpy ride. And anyway, this whole idea simply goes against the grain. Supporting proprietary software in Linux, are you nuts? Wine has been in development for 15 years and yet it still can only install a small number of applications well. It’s a tough call, but obviously one that Canonical is willing to take. It’s true that by supporting proprietary applications, Ubuntu would become a more popular and “usable” for Windows users. Perhaps there is room for both world views. After all, each distribution has the right to its own goals and agendas, Canonical and Ubuntu just as much as any other. Those who choose to run free software can continue to do so, while those who need Linux to run their Windows software can find it. Don’t get me wrong, I think the Wine project is great. We should have open implementations of all languages and systems. There is a difference however, between having a project which enables some Windows applications support, and going all out to encourage proprietary software on the Linux desktop (I’m not suggesting that Canonical is doing this, either). For Linux to be able to entice users away from Microsoft, does it really need to support their Windows only applications? Why do users prefer Photoshop over GIMP? If it’s a user interface issue, then skin it to look like Photoshop. If it’s shortcut keys, then map them too. If it’s features, then start hacking. Instead of putting effort into getting proprietary software running, a game at which Linux will be forever playing catch up, can’t we just work together to improve existing Free software? Yes, Free software takes time to develop into a powerful alternative. It generally doesn’t have money thrown at it like proprietary applications, and so develops at a much slower pace. Those applications which do develop quickly are often backed by large corporations which have employees developing the software, OpenOffice.org for instance. It might also not be possible to do this, but if we could address the reasons why users simply “must have” their Photoshop type applications over free alternatives, perhaps we could create a viable enough alternative over time. Ubuntu has supported proprietary video drivers. While this has been extremely helpful to those who want to make use of the drivers, has it been detrimental to the cause of free drivers? Could all the commercial Linux distros get together and work with a company like NVIDIA to develop a decent open source driver? Perhaps they could, but it probably wouldn’t work. Linux needs to become a big enough player in the Desktop market so that proprietary software companies simply have to release free software in order to be successful on the platform. This is happening, slowly. To some degree, it’s a chicken and egg problem. How do you become powerful enough on the desktop so that you can influence companies like these, without first using their proprietary applications to gain popularity? The question is, by supporting proprietary software in the operating system and kernel are we less likely to see a free version in the long run? And if we never see a free version, do we care? Will we get to a point where closed source is just as acceptable as free software? If proprietary Windows applications can run on Linux, how much motivation would there be to develop outstanding free applications? Will running proprietary software under Linux keep the development focus squarely away from free software? 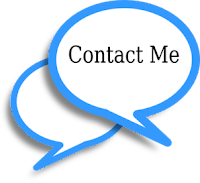 Does the integration of proprietary software provide a short term benefit and a long term handicap?